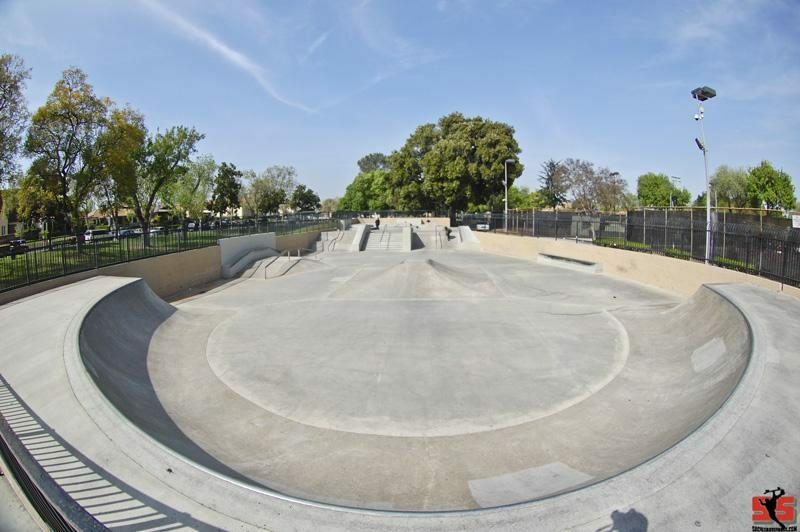 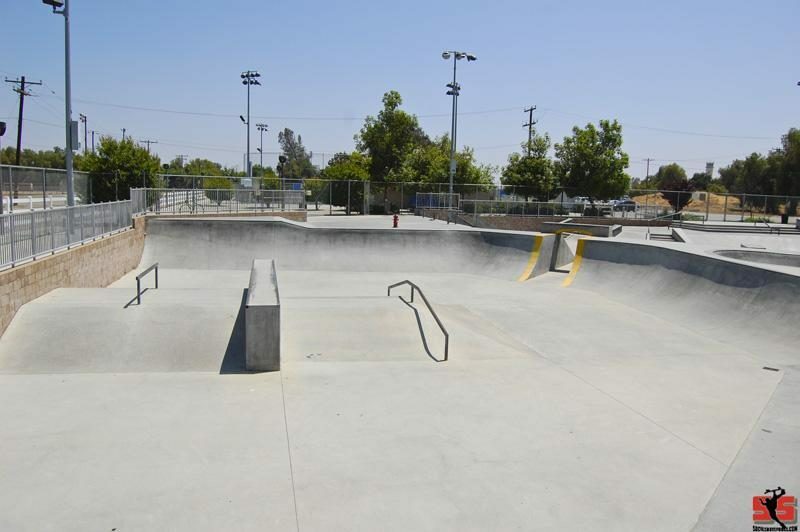 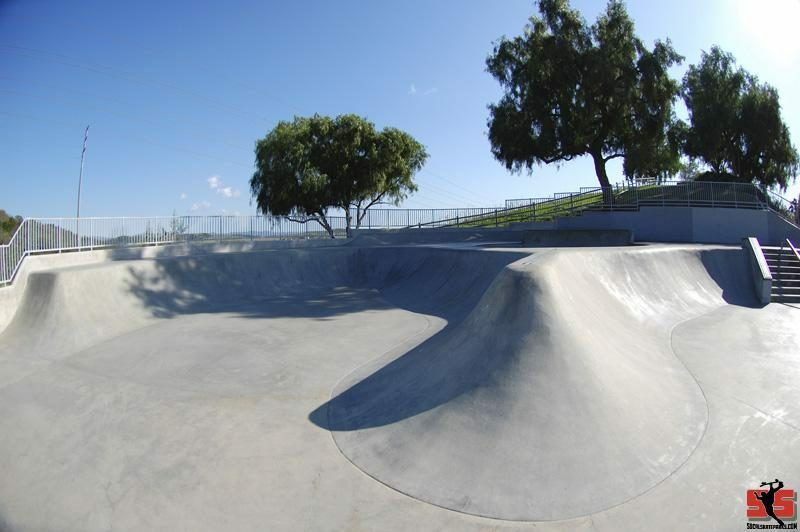 Monrovia Skatepark has a decent size street section and a unique washboard bowl designed by Ben Schroeder. 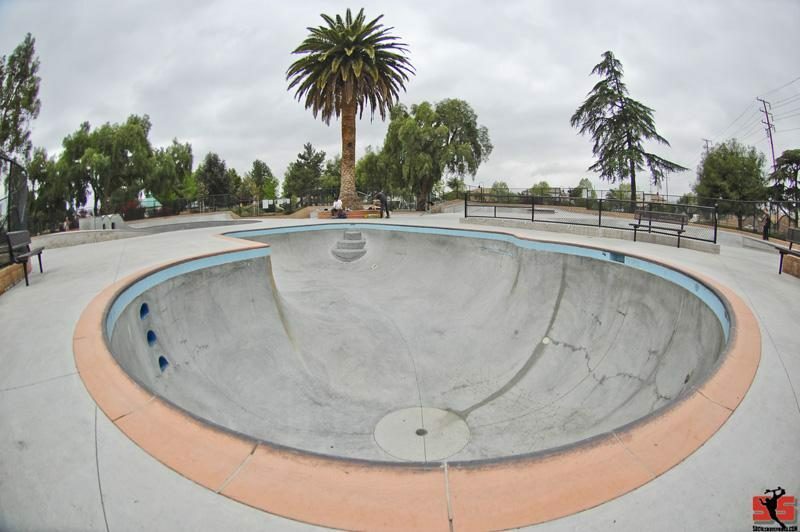 A fun Skatepark with big rails,ledges and kinked rail going down a waterfall to lippy pyramid. 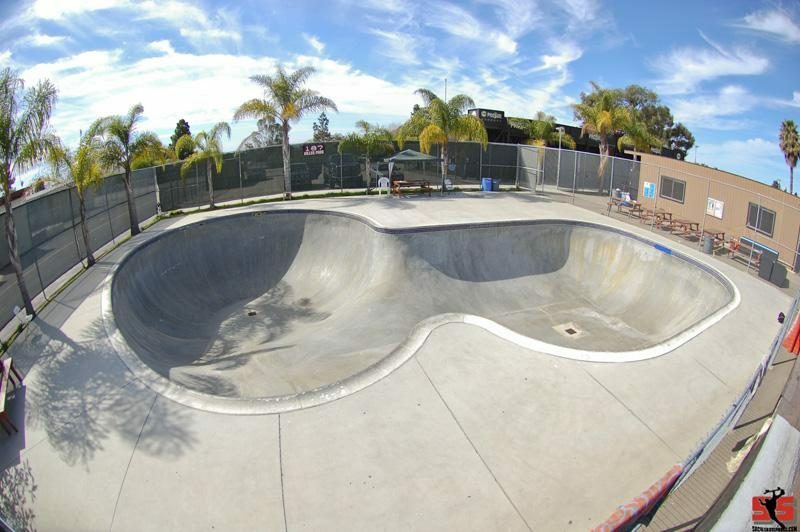 A mellow horseshoe bowl with hips to blast airs off of. 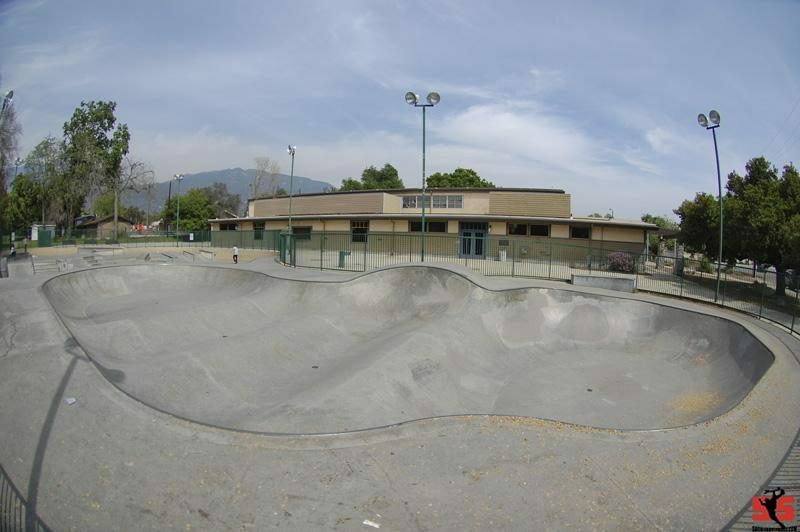 There is also a seperated mini ramp area with a couple fall back extensions.